Throughout his 43 years as a professor at NC State’s Department of Plant and Microbial Biology, Tom Wentworth has received a number of recognitions and accolades. During his retirement reception, which was held on Saturday, Nov. 3 at the Duke Energy Hall located in the James B. Hunt Library, he received his latest award: acceptance into the Order of the Long Leaf Pine. Dr. Wentworth has been working with the Department of Botany since 1979, when he started his career as a professor and researcher. Since then he has delved into several research interests, some of which have collaborated with other departments within the University. He has also authored many publications, and has been recognized extensively for his work as a teacher and mentor. 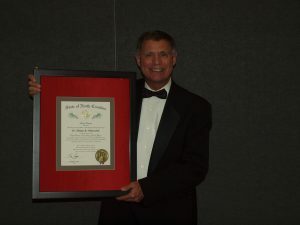 The Order of the Long Leaf Pine is among the most prestigious awards in North Carolina, and it is presented by the governor. Only retiring individuals who have proven record of extraordinary service and contribution to their communities for over 30 years are honored with this award. Nominated by his colleagues and peers, Tom’s long years of service and many achievements make him a good fit for the Long Leaf Pine Society. To obtain more information or nominate someone for the Order of the Long Leaf Pine, follow this link to the Governor’s website. Join us for CALS Second Annual Red and Block Party on May 8! CALS is ramping up to host our second annual staff and faculty block party! Come join us outside of Weaver Laboratories on May 8 from 12:30-2:30 p.m.! 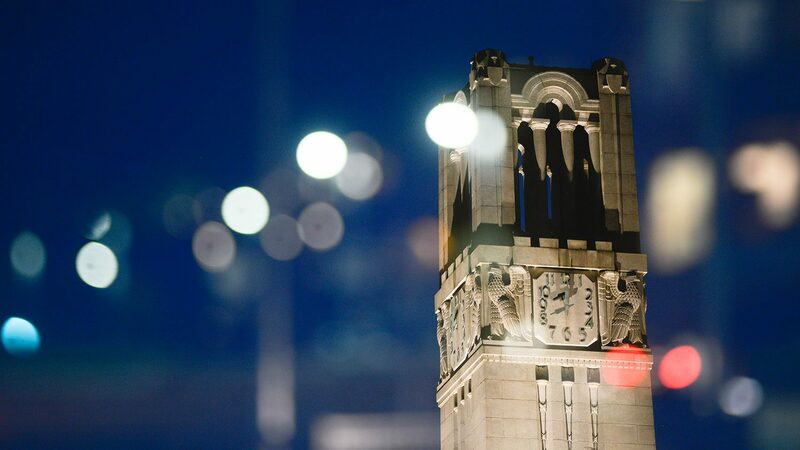 Congratulations to the 2018-19 CALS Awards for Excellence and the Excellence in Safety Award recipients, as well as CALS faculty who received University Teaching Excellence Awards.